The line, uttered by Carville in January 1996 in reference to Paula Jones, was met with light laughter. Paula Jones alleges that Bill Clinton, then the governor of Arkansas, groped her, exposed himself, and propositioned her in a hotel room in Little Rock, AR, on May 8, 1991. Clinton settled a sexual harassment lawsuit against Jones in 1998 for $850,000. The “trailer park” line from Carville is one of many sexist attacks that Clinton allies used against women who came forward alleging sexual misconduct. 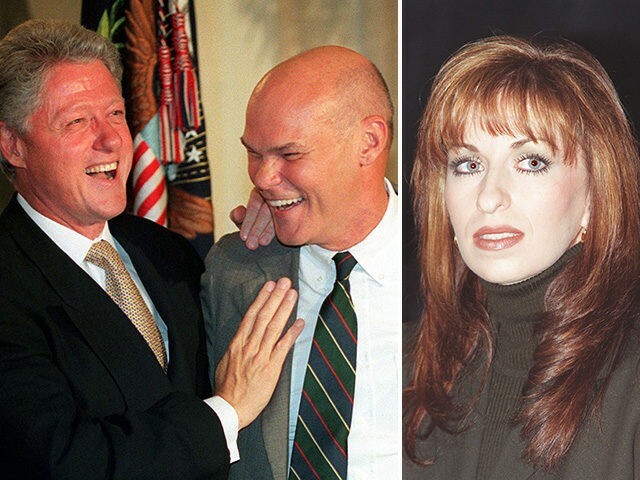 Most famously, Clinton’s gubernatorial chief of staff Betsey Wright coined the term “bimbo eruptions,” used by many in the Clinton White House — including now-ABC anchor George Stephanopoulos. Speaking before supporters in Southaven, Mississippi, President Trump criticized Ford, the California psychology professor who recently leveled a decades-old claim of sexual assault against Kavanaugh, for testifying she does not remember the exact time and location of the alleged incident while declaring absolutely that she drank one beer. “The President’s comments were just plain wrong,” Collins told reporters on Capitol Hill shortly after Flake’s comments.